Over four decades, Dr. Coyle has pursued research interests that have included developmental neurobiology, mechanisms of neuronal vulnerability and psychopharmacology. His investigations have profoundly influenced biological psychiatry; among them, his studies of glutamate, the brain’s major excitatory neurotransmitter, and the role it plays in the origins, development and pharmacological treatment of schizophrenia. 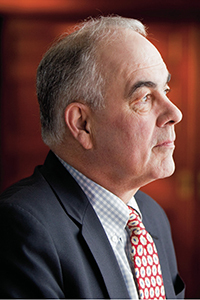 Dr. Coyle completed his psychiatry residency at Johns Hopkins Hospital between 1973 and 1976. He served for many years on the faculty of the Johns Hopkins School of Medicine, where he was Distinguished Service Professor of Child Psychiatry and director of the Division of Child and Adolescent Psychiatry, before moving to Harvard in 1991. Until 2001, he was chairman of Harvard Medical School’s consolidated department of psychiatry, which included affiliated hospital programs.